We are manufacturer of pyrolysis plant in all over India. Our technical engineers are engineering graduate professionals working in pyrolysis field from last five years. we have own fabrication setup with all machinaries. We are providing best design new generation pyrolysis plant at very low cost with high oil efficiency. we have experienced erection team which complete fast erection with better quality. we also deal in contract of erection and commissioning of pyrolysis plants. Vaman Pyro Enterprises established in October 2014 to provide best quality of Pyrolysis Plants in Indian Market. 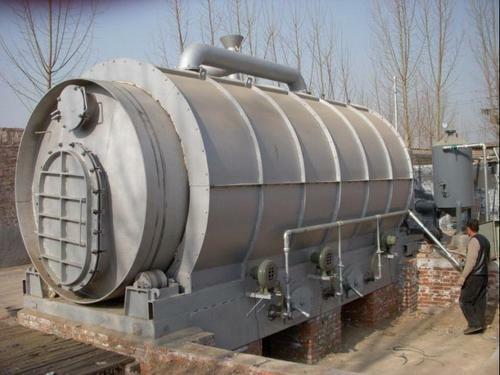 We provide new batch pyrolysis plant with new design and developments as well as service and maintenance of old plants also available at optimal cost. All facilities are available like Own Fabrication, skilled manpower, tools and machines to facilitate Plant Fabrication, erection, commissioning and repair works. AMC and labour contracts also available.